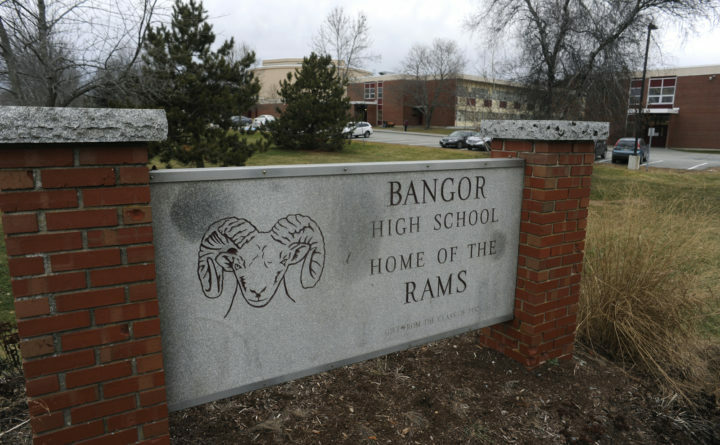 Bangor students will return to class Tuesday to find new security measures and staff geared at keeping them safe and healthy, changes a school official said weren’t necessarily prompted by a wave of mass shootings at American schools. The Bangor School Department spent the summer adding more security cameras, fencing and security to the entrances of its classroom buildings, Superintendent Betsy Webb said. And next week, two additional social workers and a second school resource officer will work inside those walls, providing additional staff to oversee the emotional and physical health and safety of the district’s 3,700 students, she said. The changes come after a string of deadly mass shootings in American schools that has left districts across Maine and the nation revising and tightening security plans, as well as pondering ways to care for the mental and emotional well-being of the students in their charge. In the case of a February shooting at a Parkland, Florida, high school — which left 17 people dead and galvanized thousands of teenagers to protest gun violence in a series of planned walkouts and marches across the country — the alleged gunman was a 19-year-old former student who twice caught the attention of mental health counselors before carrying out the attack. Webb said the upgrades in Bangor are not necessarily spurred the violence that’s happening elsewhere but are part of the district’s ongoing plan to increase safety measures, as outlined in a 10-year strategic plan created in 2010. “Certainly, the incidents that have happened over the last few years have created better attention across the nation, about recommendations, things to look for,” she said. But the school administration has reviewed safety on a yearly basis, she said, especially since the district created a comprehensive emergency response plan in 2000 after the Columbine school shooting, she said. That emergency plan, which is reviewed every year with local police and fire departments and is separate from the district’s publicly available strategic plan, prepares students for a variety of emergencies. The district does not perform active shooter trainings with students, “nor will we, based on what’s out there for best practices,” Webb said. Some of those trainings are considered controversial, but some Maine schools have recently embraced modified versions. When the budget passed last spring, the Bangor school department received an additional $100,000 to add more security cameras and fencing around its buildings, Webb said. The schools only allow people to enter and exit through one door, and that passage will receive additional security features which Webb declined to describe, citing safety concerns. The district used to have two school resource officers, but staffing shortages at the police department meant the district has only had one for a few years, Webb said. Assigning a second officer to the city schools this fall brings the district closer to its goal of having three resource officers by 2020, according to the 10-year strategic plan. Adding a fifth social worker will beef up the number people there to help students manage and regulate their emotions, Webb said. The superintendent noted that anxiety among American students is rising nationally, which is the driving reason behind the district’s push to hire more staff to watch over students’ mental health. In a newly created position, another social worker focuses on reducing absenteeism, which is linked to an increased likelihood of substance use, data shows. A Maine Department of Education study released earlier this year showed that 16 percent of Maine’s student population are considered chronically absent. Bangor’s attendance record is high at 94 percent, but 19 percent of the students missing school are considered chronically absent, meaning they miss more than 18 days in a 175-day school year. Some Maine cities will start the school with considering programs that are directly in response to recent violence. Across the river in Brewer, for instance, city officials called for a direct response to the Parkland shooting, and asked the police department to review and enhance school safety measures. As in Bangor, some of those plans were already in the works, such as a new technology that lets teachers instant message with police during an emergency. But the department also started to consider developing policies that would to catch “red flags” in students that might be prone to violence, the police chief said at the time.